You are here: Home / Credit Enhancement / 5 Factors That Could Affect Your Credit Score! 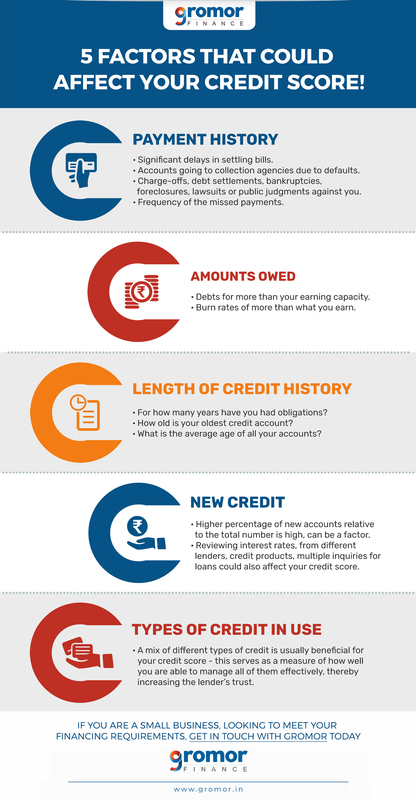 5 Factors That Could Affect Your Credit Score! A famous person once said, “If you don’t take good care of your credit, then your credit won’t take good care of you.” For a small business, the credit score is not just a measure of how well it manages its credit – it also determines the business’s financial stability and if it is worth lending to. If you choose to approach a bank or an NBFC for a small business loan, there’s a great chance your credit score will be looked into with a lot of interest! Imagine being in dire need of funds, either to pay your employees’ salaries or to meet a sudden upsurge in demand and not being able to get a business loan because of a bad credit score? You definitely don’t want that to happen! Here are some of the factors that affect your credit score. If you have paid all your bills on time – a significant delay can have a negative impact on your credit score. If any of your accounts have gone to the collection agencies, hired by lenders to recover funds that are due or accounts that are in default. If you have any charge-offs, debt settlements, bankruptcies, foreclosures, lawsuits or public judgments against you – it is considered the most destructive for your credit score. The time since the last negative event and the frequency of the missed payments. 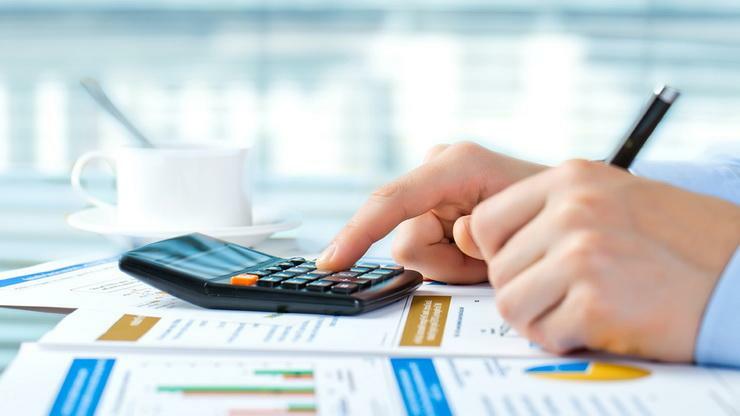 While you may be making all your payments on time, it is also necessary to keep track of your debts in general, as well as your earning capacity and actual earnings. For all you know, you may have borrowed well above what you can afford to! If you already have ongoing debts, and still require new ones, this will have a telling effect on your credit score. For how many years have you had obligations? How old is your oldest credit account? What is the average age of all your accounts? 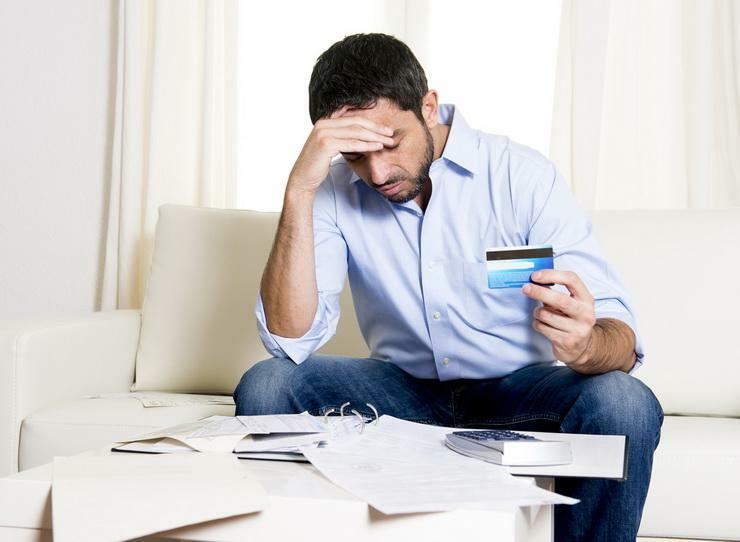 Your credit score is affected by the number of new accounts you have, as well as how many you have applied for recently and the last time you opened a new credit account. Lenders assume that if you’ve opened several new accounts recently, and if the percentage of new accounts relative to the total number is high, you could be a credit risk. This is because people tend to apply for more credit if they are experiencing cash-flow issues or are planning to take on new debts. Another factor is Rate-Shopping. This means reviewing interest rates from different lenders and on different credit products and multiple inquiries for loans could also affect your credit score. As mentioned before, a mix of different types of credit is usually beneficial for your credit score – this serves as a measure of how well you are able to manage all of them effectively, thereby increasing the lender’s trust. While it is crucial to have a good credit score to gain better standing with lenders, there is no reason to fret and lose sleep over a bad one! Keep credit card balances in check – use the credit card only for emergency payments. Make payments to creditors in a timely manner. Avoid closing credit accounts – While closing old and unused accounts can help you save on unnecessary fees, it can also have a negative effect on your credit score, especially if you close many of them all at once. Borrow from investors that report to the credit bureau. If you are a small business planning to embark upon a journey towards growth, allow Gromor’s unsecured small business loans to assist you!